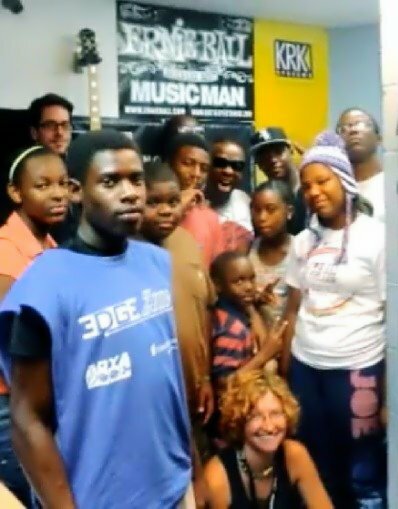 As more and more music programs face budget cuts and in some cases complete cancellation, the Notes For Notes non-profit organization is making sure the youth stays connected to music by offering free access to instruments and recording studios known as MusicBoxes. 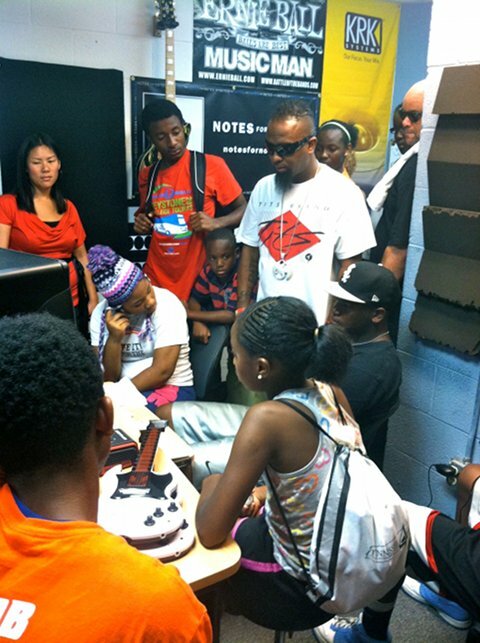 During a break from his Hostile Takeover 2012 Tour, Tech N9ne paid a visit to one of two recently opened MusicBox studios in Nashville, TN to speak with a group of young artists and offer up some advice on music. With so many kids around the country missing out on the benefits of a music program, Notes For Notes is putting the creativity back into their hands. Notes for Notes is a non-profit organization which provides youth with FREE access to music instruments, instruction and recording studio environments so that music may become a profoundly positive experience in their lives. Our facilities called MusicBox Studios are located in the Andrew Jackson and Preston Taylor Boys & Girls Clubs in Nashville, TN as well as three locations in Santa Barbara: both Boys & Girls Clubs and a city teen center. In the MusicBox Studios, youth from 5-18+ can explore, create and record music for FREE. Studios are packed with electric guitars, drums, keyboards/synthesizers, DJ turntables, digital music workstations and full recording studios. N4N was created to provide an environment for youth to explore music, however it is a focus on the organic relationships formed in the studio that have the most impact in a young person’s life. 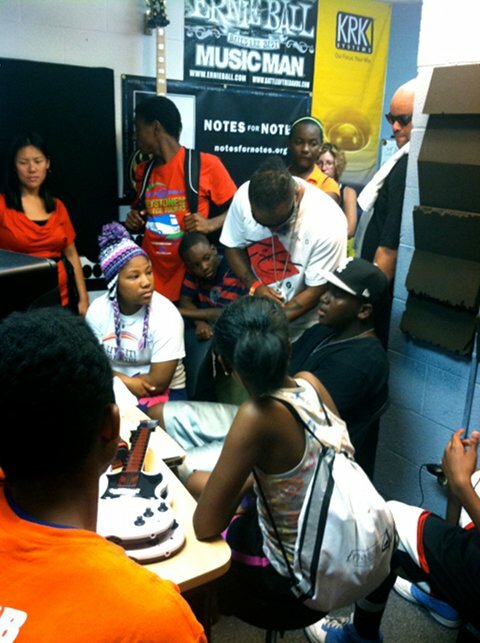 We identify ourselves more as a “Big Brothers but with music” organization than we do as anti-gang or drug; otherwise youth may begin to feel like these resources are only to steer them away from negative situations. 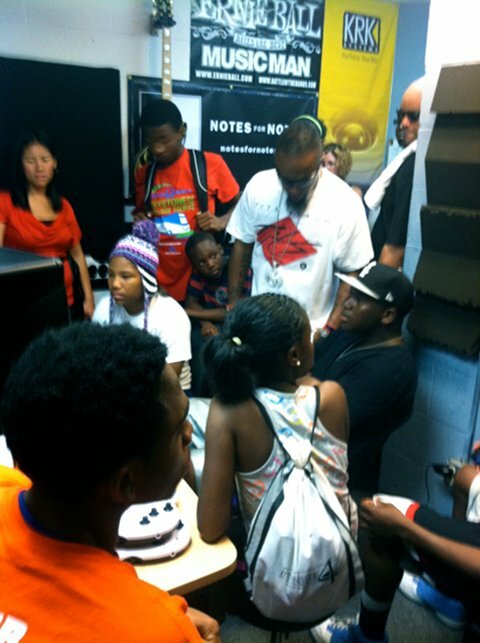 We want youth to explore music as an art form, way to express themselves and potential career path, however, just by being in the studio and making music they are building relationships and learning life skills like work ethic, collaboration and time management that will ultimately benefit them as upstanding members of our community. Early on we made a strategic decision to NOT CENSOR lyrics because we want youth to completely express themselves even if it makes us uncomfortable at times. We urge youth to create original songs that express themselves and their experiences with no boundaries because we know that this gives us the opportunity to educate them on the power of their words and the message they portray. What do you think about organizations like Notes For Notes? Did you have a music program in your school?